Trying to get past airport security these days is akin to taking part in the Krypton Factor. First you have to empty your gadget-filled pockets into a plastic tray (iPod, phone, watch), then half-undress by taking off your belt – there's usually a very good reason why you are wearing a belt – and finally you have to surrender your shoes, and with them your dignity. The need to de-shoe is now a thing of the past in Israel, however, thanks to a fancy new scanner that lets you leave your shoes on. The step-on X-ray machine allows you to be scanned for weapons and the like fully clothed. The only people likely to take of their shoes are the dodgy looking ones, as the machine can't yet scan for bombs. Called the MagShoe, the whole shoe-scanning process takes just two seconds and is positioned next to the walk-through scanners. Unsurprisingly, the machine has cut down on waiting times. 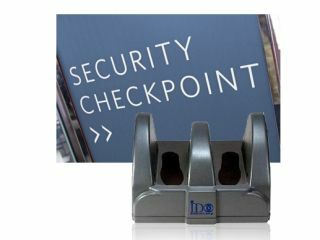 Nissim Ben-Ezra, security technologies manager for Israel's Airports Authority, said about the machine: "This innovation brings enormous logistical value as it significantly cuts down the discomfort and delays associated with standard shoe searches." And the best bit about is that MagShoe costs just £3000. This is a small price to pay to cut down the smell of cheesy feet up and down airports in the UK in an instant. Let's just hope Britain cottons on to these machines sooner rather than later.